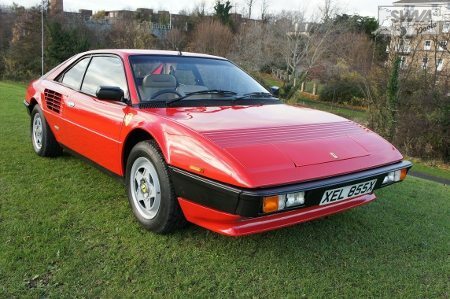 The April 25th Classic Car Auction was another success, with 86% of entries sold. We are now accepting entries for the July 25th auction. If you have a classic car you are considering for the sale, please get in touch either via phone at 0044(0)1202 745466 or email at classics@swva.co.uk. Details: A selection of different classic car books including handbooks and manuals. For more details and photos click here. Details: Elegant Ralli Car manufactured in Aylesbury by W Pass circa 1890. Complete with original coach lamp holders, rein rail, front & rear steps, and wheel spanner. Details: Remarkable original series II 1390 cc – overhead valve Hillman Minx 3 position drop head coupe. She is a very solid car, not a rust bucket, but requires painting and re-commissioning. Details: Husband and wife owned from new. Comes with all the books including hand books etc. 29 stamps in the service book. Details: This barn find is one family owner (husband and wife) from new. Mileage showing 81,000 odd. Details: 4 seater convertible with full service history 13 stamps. Last service at 75,000 miles. Details: This barn find is a great opportunity to own one of these remarkable cars. They were made from 1963-1968 and were the more luxurious alternative to the MK2. Details: Tax exempt and requires no MOT. A sound, solid car that requires TLC. Details: A delightful car that comes with its original registration number XDU196. Details: Very rare Triumph Dolomite with low mileage. Local Bournemouth car from new. Details: Beautiful Mercedes 300 Coupe in stunning condition. Comes with all the Mercedes hand books and service books with 25 stamps. Details: Service history 17 stamps. Nearly all the old MOTs. Old invoices. This is a Bertone built car which means it has a better finish etc. Details: Cream bodywork with red leather interior. Engine is sound, and vendor says the car drives well. Interior in good condition for its age. Details: Genuine mileage of 21,000. Finished in ice blue with blue leather upholstery. Details: Very nice classic mini 1000 which will be 40 years old in May. Will soon be tax exempt. Fresh MOT and tax in August, and is ready to go. Details: This is a unique car at only 23,500 miles. Only 2 private owners, last owner an 84 year old gentleman from Bournemouth who bought the car when it was 3 months old. Details: Comes with the original certificate of title from the State of Minnesota, USA. Series 62 model with the OHV 5.4 litre V8 engine. Details: This car is to be sold no reserve. She is not a rust bucket. She runs and goes. Taxed and MOT. Mechanically I am told she is in good order. Details: The vendor states that he believes the mileage is correct. We have old MOTs and history books back to 1991, including old tax discs. Details: This example is a very sound car, first registered in 1953. She has only covered 50k from new. We are told that it has full history including original log book. Details: Only two former keepers from new, who were father and son. It has been rebuilt several times since new and now sports a Chris Gould Ulster body on a shortened chassis. Details: The name was derived from Chimera, the monstrous creature of Greek mythology, which was made of the parts of multiple animals. Details: An older restoration that has just been recommissioned, it presents very well. Just had new battery, tyres and shocks fitted as well as a comprehensive service. Details: The vendor has owned this great little car since 2009. She is finished in white with red trim and hood. Details: Finished in willow green with old english white roof. Pale green leather trim and walnut dash board. Mechanically 100%. Body work is in excellent order. Details: Vendor has owned the vehicle for the last four years. Purchased from the previous owner based in the Isle of Wight. Details: Rare to find such a low mileage 190E. Dry stored for sometime. New MOT. Details: Comes with original 4/4 Morgan Owners Handbook. 13 stamps in the service book, cambelt changed at 41,000 miles. Details: Comprehensive service history including 19 stamps, 11 from official Porsche garages. Automatic. Details: Very rare to find one like this with the original chassis, engine and body; the matching numbers are confirmed by a certificate of vehicle provenance from the Lotus Factory. Details: A well chronicled file comes with the car, with details of all owners and old MOT certificates, confirming the mileage and makes for an interesting read. Details: This great British pre war car is powered by 918cc engine, producing 23.5 BHP. 3 speed box, hydraulic brakes. Details: Fantastic old Mercedes 170 D. Comes with Irish log book. Imported to Ireland approx. 20 years ago from Germany. Details: Comes with the original repair manual “For V8 Pilot Cars and Heavy Commercial Vehicles”. History file contains some old MOTs, old bills and invoices. Details: Car has been completely restored, photographic records included in the file. She was off the road for 15 years. Details: Finished in red with tan leather interior. Fitted with a 3.5 Rover engine, however no records of when this was installed. Details: Finished in Rosso Corsa with Crema hide and burgundy carpets and sitting on the correct Cromodora wheels and Michelin tyres. Details: The vendor has owned this wonderfully British sports car for 1 year. Sadly ill health forces sale. The previous owner had the car for 19 years and at 83 gave up driving. Details: The Bedford J Type was introduced in 1958 and was primarily exported. A number found their way onto the home market and were used mainly by the AA and British Telecom. Details: This car has been entered by a private collection from Switzerland, who has owned the car for many years and it is in quite remarkable condition. The engine is a total rebuild by ‘Austineers’ here in the UK. Details: A genuine barn find. Possible second owner moved to Swanage in the late sixties and that is where the car stayed. The next owner purchased her in September 77 and hardly used her. Details: Lots of old MOTs, service history and bills. Comes with hood cover, 2 keys and 2 alarm keys. Details: Finished in white with brown hood. Comes with complete build folder. Originally built as a factory car (press car). Details: Registered in the UK in 2013. Car was a rebuild. Semi-automatic column gear change. Details: A lovely example of this very collectable mini cooper. Genuine mileage. Comes with a folder full of service history, last nine MOTs confirm the miles. Details: This Transit was a Luton for 25 years, which is why the chassis and body is in such good condition. Details: Convertible model. Manufactured in 1970. Finished in blue with cream interior. Details: Porsche service book with 11 stamps. History file includes lots of old bills and invoices. Details: Fitted with an automatic gearbox. Old MOTs and invoices included in the history file. Details: Body and paintwork has undergone a complete restoration. Garaged for the last six months. If you have any questions about an entry or would like to arrange a viewing, send an email to classics@swva.co.uk or call the office on 0044 (0) 1202 745466.